​Charles Sousa sits on the boards of Lobo Genetics Inc. (TSX Ventures) and Magellan Community Charities (a new LTC and Affordable Housing complex). Charles is also the former Minister of Finance for Ontario. He was elected to the Ontario Legislature in 2007 and served three terms, spanning more than 11 years, as Member Provincial Parliament for Mississauga South. Charles delivered six budgets and oversaw nine agencies including LCBO, OLG and OSC, three of the largest entities in the country. He was also President of Treasury Board, Minister of Citizenship and Immigration, Minister responsible for the Pan/ParaPan Am Games and Minister of Labour. Prior to entering politics, Charles enjoyed a 20 year commercial banking career with RBC Royal Bank and capital markets at RBC Dominion Securities. He also owned and operated Lift Finance Inc., an asset based lending firm. ​Charles has been a champion of financial literacy in schools and continues to serve on community boards, chambers and business associations. 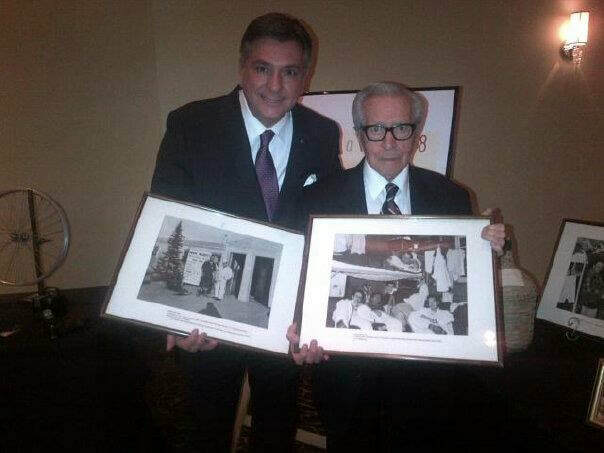 He was also ambassador for the Credit Valley Hospital Foundation and the Rainbow Ball Foundation. Charles earned an MBA from Ivey School of Business at University of Western Ontario and graduated top of class as a Fellow of the Institute of Canadian Bankers. Among his many awards, Charles received the Queen’s Golden and Diamond Jubilee Medals in recognition of his service to the community and was inducted as a Commander to the Order of Merit in Portugal. Charles spent over a decade in public service as the Member of Provincial Parliament for the riding of Mississauga-South (now Mississauga-Lakeshore). In addition to being an MPP, Charles held the positions of Minister of Labour, Minister of Citizenship and Immigration, Minister Responsible for the Pan and Parapan American Games, President of Treasury Board and most recently as the Minister of Finance. He oversaw the Workplace Safety and Insurance Board (WSIB), one of the largest compensation boards in North America. During that time Charles worked closely with the executive team to restructure and manage operations that effectively eliminated $14 billion in unfunded liability, almost 10 years ahead of the legislated deadline. Charles currently sits on the boards of Magellan Community Care, a large new LTC & housing complex and Lobo Genetics Inc. , a new healthcare technology company providing DNA testing for cannabis use. Prior to entering public service, Charles worked for over 20 years at RBC Royal Bank in commercial banking. He also participated in special assignments involving the strategic integration of RBC’s acquisition of Dominion Securities and provided stakeholder engagement during the proposed merger between RBC and BMO. During his time at RBC Royal Bank, between 1987 to 2007, Charles worked primarily in commercial lending. As Director, Commercial Markets he lead a team of account managers & business development officers and managed a major book of commercial & business banking clients, including lending and cash management services. As Director, Government & Consumer Affairs Charles was engaged in the bank merger discussions at the federal level and led stakeholder relations. One of Charles lasting legacies at RBC is the production of the bank’s first public accountability statement in its annual reports. As National Manager, Marketing RBC Dominion Securities Charles was instrumental in building synergies among separate corporate divisions and cultures. He enhanced market share by facilitating the strategic integration of both RBC DS retail investment advisors and RBC private banking to promote cross referral business. Charles joined RBC after selling Lift Finance Inc., a business he owned and operated to provide asset based lending and factoring services to small businesses. 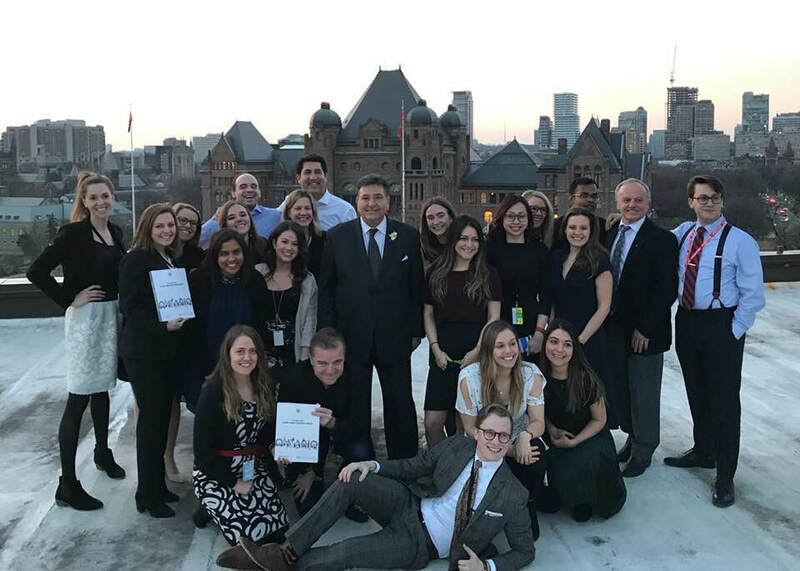 Charles Sousa was first elected to the Ontario Legislature in 2007 and served three terms, spanning more than 11 years, as Member Provincial Parliament for Mississauga South. Upon taking office, Charles pushed for the revitalization of Mississauga’s waterfront and the protection of our sensitive air shed. Those efforts paid off when he announced that Lakeview would never again host a mega-emitting power generator. He continued to fight hard for our community when it was also announced that no new gas-fired power plant would be built in Clarkson or Cooksville. Charles’ efforts lead to the signing of a memorandum of understanding between the province and city to work together on a shared vision for the future of the Lakeview lands. As a young boy growing up in the area, Charles envisioned a day when there would be public access and a view of the lake at Lakeview. That dream is now becoming a reality. The remediation of over 250 acres of industrial lands will help to turn the area into a vibrant mix use destination. It will create a new conservation area with greater natural habitat and wet lands along our shores. Charles was also instrumental in implementing Mississauga Food Bank’s hub & spoke model. Through his constituency office, he led a popular Holiday Turkey Drive providing meals and donations to many families. In fact, his office helped many people navigate the system to source supports for those most vulnerable in our community. Charles is also a strong supporter of local arts, culture and entertainment where he provided annual funding to our music festivals, museums and parades. Charles also approved the necessary funding for a new 500 bed hospital expansion. Charles very worked closely with Trillium Health Partners on many projects, including building a new fracture clinic at Mississauga Hospital and Credit Valley Hospital's ambulatory care unit to improve health services in our community. Charles authorized the full funding of the Light Rail Transit system along the spine of Hurontario to ease congestion. He long advocated for increased parking at the GO hubs and increased frequency of the GO rail lines. These infrastructure improvements to public transit continue to help our local economy while reducing cars on our roads. ​Charles, his wife Zenny and their three children continue to make south Mississauga their home. It is why he is so passionate about protecting the heritage of our waterfront communities for generations to come. "Charles is a strong leader who delivers for our community. He does his homework and gets things done. He has fought hard to protect our waterfront, expand our hospitals, and enhance public transit." "Charles worked on a community advisory board and was extremely valuable and fantastic to work with." "Charles understands the value of the arts and culture, which is why he has consistently invested in local festivals like Southside Shuffle. He knows that not only do festivals like these bring our community together, but they attract more visitors to Port Credit and contribute to the local economy." "At RBC, Charles was a leader and an innovative thinker. He showed the type of dedication needed to succeed." "Charles has worked hard to support the local business community. He has taken concrete steps to grow the economy and create jobs. He has lowered our taxes, and his support programs for small business have helped us hire more people." "Charles' support for music and the arts has helped us grow into the vibrant community that we are." "I have always admired his skills and business talents. It's clear that Charles cares about the community and always believes in giving back." "Charles is a man who I trust implicitly. His leadership and work in the community has been incredibly positive and well received." "Charles is a compassionate supporter of people who need help. He looks out for everybody. He has expanded free prescription drugs to seniors, and created a new $750 Healthy Homes Grant. Thousands more long-term care beds will also help seniors in Mississauga-Lakeshore and across the province."